The first leg of the marquee Champions League quarterfinal kicks off on Wednesday at Old Trafford with Manchester United looking to pull off another upset in European competition. For the first time since 2014, Manchester United are in the quarter-finals of the UEFA Champions League. After coming back to defeat Paris Saint-Germain in the Round of 16, the Red Devils clinched their spot in the final eight of Europe’s premier club cup competition. They have a tough test ahead of them, however, as they were drawn to face Spanish giants FC Barcelona. The first leg is set to kick off on Wednesday at Old Trafford, and United will have to make the most of their home field advantage if they want any chance of advancing to the next round. United are in the midst of their worst run under new boss Ole Gunnar Solskjaer, as the Red Devils have lost three out of their last four contests in all competitions. Their latest defeat came on Tuesday night, as they fell away to Wolves for second time in as many weeks. Man Utd were the better side to start the contest and grabbed the opening goal after Scott McTominay rifled a shot into the bottom corner from the edge of the area. However, their lead was short lived, as a poor turnover from Fred lead to a Wolves counter that was finished off by Diogo Jota. It would get worse for United, as Ashley Young was set off after a second bookable offence just shy of the hour mark. They had lost all the momentum they had built up earlier, and the killer blow came with 15 minutes to go. A cross was whipped into the area and the Chuckle Brothers made an absolute meal of it, as Phil Jones messed up his headed clearance before Chris Smalling accidentally hit the ball past David De Gea into the back of his own net. It was a goal that showed United’s weakness defensively and could go down as the reason why the Red Devils failed to finish in the top four. Barcelona effectively clinched their fourth league title in five seasons on Saturday, as they beat 2nd place Atletico Madrid to widen the gap to 11 points at the top of the La Liga standings. It was a typical cagey Spanish affair early on, as the bitter rivals were both very physical to start the contest. It kicked off at the half hour mark when Atletico striker Diego Costa was sent off after a confrontation with the referee. Madrid managed to hold on until late on, but the quality of Barca was too much on the day. It started with a curler from Luis Suarez, who picked out the bottom corner from the edge of the area. Lionel Messi put the game to bed minutes later, dancing past the entire backline before rolling the ball into the back of the net. With La Liga pretty much clinched, Barcelona will be able to fully focus on the Champions League, which is bad news for United. The two global icons of the game have faced off in countless friendlies in recent seasons, but they haven’t come up against one another in a competitive contest since the 2011 Champions League final at Wembley Stadium. Barcelona were at their tiki-taka best under then manager Pep Guardiola, while Manchester United were led by Wayne Rooney and Sir Alex Ferguson. As expected, the Spanish side controlled possession while the Red Devils sat back and looked to hit on the counter. The backline was broken down early, as Pedro picked up the ball in the box and smashed a shot past Edwin Van Der Sar. However, United responded well, as Rooney played a quick give and go with Ryan Giggs before smashing a shot into the roof of the net. Barca regained control of the contest soon after the start of the second half when Messi drilled a low shot into the bottom corner. David Villa would put the game to bed with an exquisite curling finish from distance, and United were forced to settle for a runners up medal as they watched Barca celebrate another UCL title in front of them. United had the weekend off, which allowed some crucial extra time for players to rest and recover from injuries. 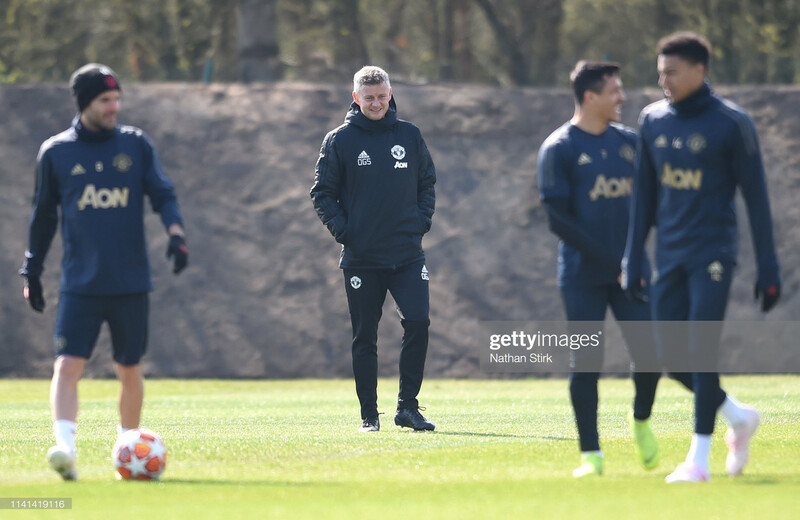 The team is still without four players who will be on the treatment table for the foreseeable future, as Matteo Darmian, Antonio Valencia, Eric Bailly, and Alexis Sanchez are all unavailable for selection. Ander Herrera and Marcus Rashford are still doubtful, as they both missed the clash against Wolves, but there is reason to believe they will be able to return on Wednesday. Barca have been without French phenomenon Ousmane Dembele for the last four league games, but he recently returned to training and could be fit in time to feature against United. They will certainly be without Rafinha, however, as the Brazilian was ruled out for the season after tearing his anterior cruciate ligament. Lionel Messi has been on another level this entire season. The man many refer to as the greatest of all time leads Europe in goals and assists so far, and it’s not even close. The Argentine has been especially deadly from free kicks, and it seems everyone he takes recently finds a way to fly into the back of the net. If United want any chance of picking up a result on Wednesday, they’ll have to stop him. How exactly they do that is up to Solskjaer, who will have to create a defensive tactic that frustrates Messi and allows him little time on the ball. Maybe Ander Herrera will be given the responsibility to man mark him, as he’s proven he can do it in the past with other quality players. It will be a daunting task, of course, but another defensive masterclass from the Spaniard could go a long way in helping the Red Devils pull off the first leg upset.